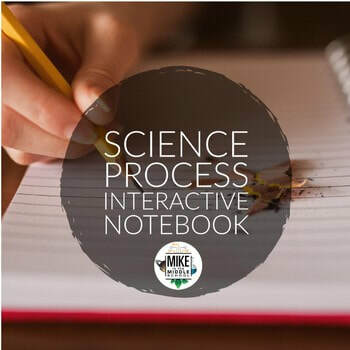 Science process is one of my all time favorite subjects to teach in class. It captures students natural curiosity and is truly enjoyable to teach. Kids eyes light up as they experiment, reflect and learn in the process. The materials below are links to scientific method activities I have created and tested in class. Each are relatively easy to use, but provide a wealth of learning. Click on the image for more information and a free preview. This activity uses Coke and Diet Coke to demonstrate how different densities impact floating. 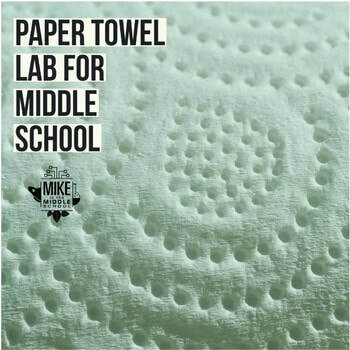 Kids love testing paper towels in science. This is a great quantitative experiment to help kids practice scientific inquiry. Over the history of the US, pennies have had a problem. Several times the copper to make them was worth more than the penny. The end result is a model activity that kids can experimentally seek out the year the US government changed the composition of the penny. Much has been said about the effectiveness of fidget spinners to help children with hyperactivity. Why not test what the experts say, do fidget spinners improve academic performance, this experiment will help you find out. Looking for some instructional resources? This PowerPoint bundle is fully editable and beautifully designed. 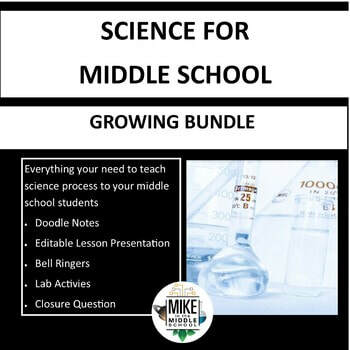 Using a conversational tone, teachers can guide their students through the basics of science process. Best of all, you can easily edit and customize this lesson to fit your students needs. When I begin teaching about science process, I also teach computer skills. Part of the process of data collection includes recording events using cameras. In this lesson bundle student take pictures, manipulate images and create unique media products to reach higher levels of learning. Science process and metrics go hand in hand. In this project, students design a metric race car. Once they create their car, the need to determine which type of race fuel to use and complete an in class simulation to see who wins.